Although most of those changes are positive, there are a few pesky little issues that can pop up! Ever hear of SUI (stress urinary incontinence)? Yep. That can happen after you have a baby! I'm sure quite a few moms are nodding their heads right now! SUI is basically those little bladder leaks that occur when you cough, sneeze, laugh, exercise, or lift heavy things. 35 million women experience SUI! No worries, though. All you have to do is #TryImpressa! Poise came up with a revolutionary new product to give you your confidence back: Poise Impressa Bladder Supports. Poise Impressa stops leaks BEFORE they happen so you can live a confident, active lifestyle free from worry! 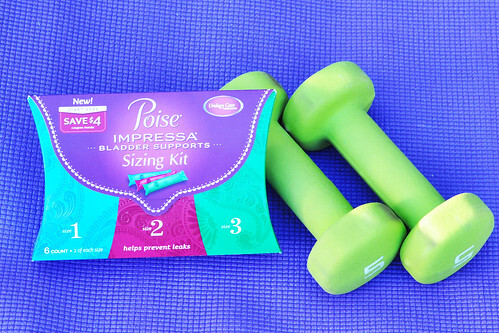 Poise Impressa comes in 3 different sizes, so you'll need to start with the sizing kit. Get your $2 off coupon HERE, then head to your nearest store to get your kit! The kit comes with 6 bladder supports (2 of each size) and a $4 off coupon for your first Single-Size 10-pack of Impressa. You can use Impressa for up to 8 hours every day, and it will ease your worry! Don't let SUI stop you! #TryImpressa to regain your confidence and let go of that worry! 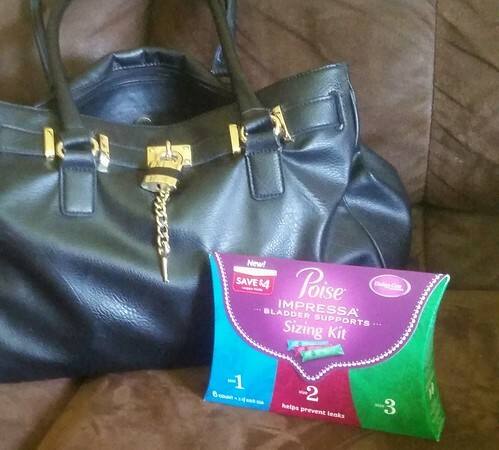 Thank you to Poise for sponsoring today's post! Because I love my readers, I'm offering a $10 Target gift card to one lucky reader. You can buy a Poise Impressa Sizing Kit and have enough left over for a coffee! The giveaway begins today and will end on October 30 at 11:59 PM EST. Although I'm not a mom yet, I'll keep this product in mind! Your family is so adorable and very inspiring. Thanks for sharing your life with us! I haven't but I could use this product ;) especially when doing jumping jacks! I have not tried Poise before but I sure will when I need the product. No I have not tried this yet. I've never tried this before, but I can see how it could be helpful. I can't jump rope or do jumping jacks anymore without feeling the need to pee. No i have not - but I'm thinking after more kids i might have to. No, I have not tried poise before. I want to try their stuff. I haven't tried Impressa, but I have tried to poise thin pads, of course! I have never tried Poise. No, I have tried Poise yet. I haven't tried Poise, but I like that they're coming up with innovative new products. wow, never heard of this product! Thanks love! I haven't tried them before but I'm sure I'll need them one day and glad to know about the product!!! No, I have not tried it before, it looks like it works wonderful!